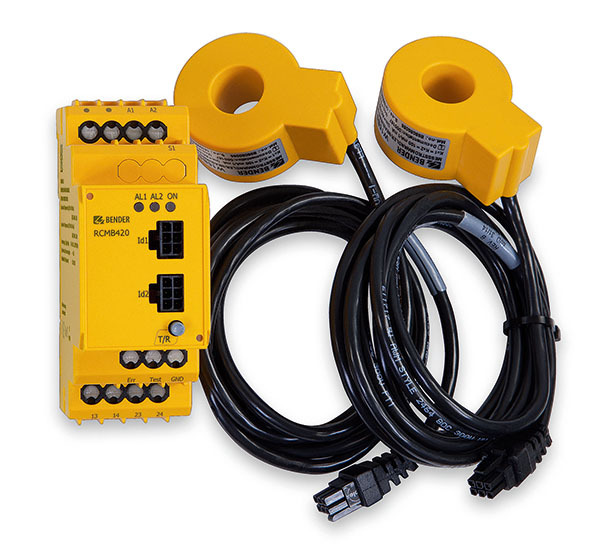 The AC/DC sensitive residual current monitoring module RCMB42… is used for residual current monitoring of AC charging stations for electric vehicles where direct or alternating fault currents are likely to occur, the value of which is constantly greater than zero. Delivery incl. measuring current transformers. Measuring current transformer available with shorter cable on request (minimum order quantity 250 pcs).